During his recent consecration as the new general superintendent of the Assemblies of God, Dr. Doug Clay had two things in mind: First, he wanted to reaffirm the identity of his denomination, and second, to look to the future by keeping four AG core values at the forefront. The Holy Spirit is a person, not an "it." The Bible is the absolute truth. Character, regardless of your title or position, matters. The purpose of the Assemblies of God is evangelism, and the denomination must avoid getting sidetracked from that purpose. A third-generation pastor's kid, Clay spoke passionately about each of these values as applied to the AG church. The largest Pentecostal denomination in the world, the Assemblies of God has grown to more than 67 million members worldwide. "I really want to see the Holy Spirit do what He does best: magnify Jesus," Clay said. "We just need to let the Holy Spirit be the Holy Spirit. ... With the Bible, we really do believe it is the foundation for all of life transformation and community transformation. Biblical literacy is one of the major initiatives I want to take on during my administration. "We also need to place a high value on character. Paul says that if you don't have the fruit of the spirit, then you are not a tuned instrument. 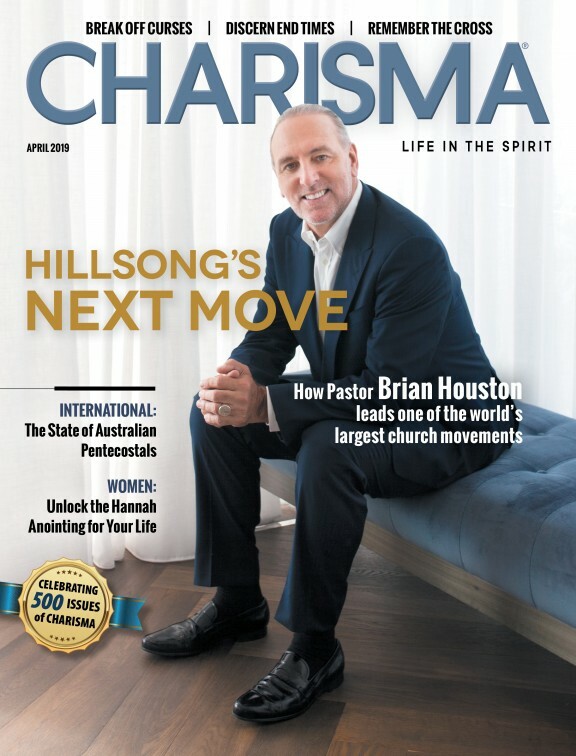 ... And finally, I'm committed to say that, in the DNA of the Assemblies of God, a Pentecostal organization, evangelism is going to have a high priority, as it has for the last 103 years." In his brief tenure, Clay, who replaced George Wood after Wood's 11 strong years as general superintendent, has already shown the characteristics of a great leader. A television reporter recently asked Clay a poignant question, and I was very impressed by his answer. The question concerned what he would say to those individuals who had been hurt by and were suspicious of the church. "The first thing I would say is that I am sorry, deeply sorry, if the institution of the church or an individual has hurt you, especially within the context of the Assemblies of God," Clay said. "But please don't stiff-arm the love of God and throw your gifts away just because a man or an institution didn't function Spirit-sensitive to you. ... We are his workmanship, creative in Christ Jesus, to do good deeds that He has prepared in advance for us to do. Don't let those good deeds that God has prepared in advance to get shelved or thrown away just because someone disappointed you." Dr. Clay had much more to say during this podcast I recorded while visiting the Assemblies of God headquarters in Springfield, Missouri, earlier this week. I think you will find his words and vision inspiring. As the Lord brings it to mind, remember to pray for Dr. Doug Clay and the Assemblies of God at this very crucial time. And, as always, please share this blog with your followers on social media and leave your comments below.